The more I do in-home sessions the more I love the different side you get to see of families. I’ve noticed that everyone seems to be more comfortable in front of a camera when they are in a comfortable and familiar setting. 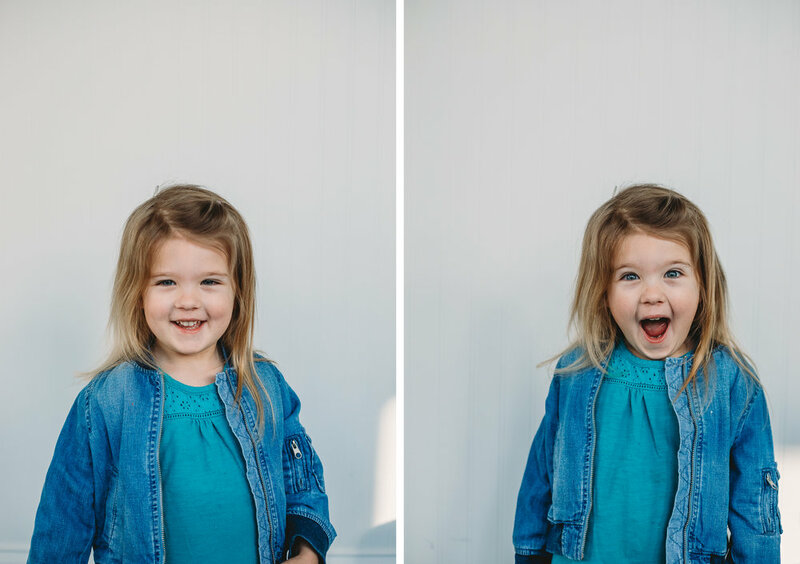 The kids are often more playful, they are more cuddly, and sometimes they’ll even bring out some of their favorite toys to show off or document. Those often make some of the best photos..kids at play with their favorite every day toys or stuffed animals. There’s nothing more comfortable than snuggled up on your own couch with mom. "Jamming out to music and cracking jokes in the car is always a good time. Really any time with each other is a good time." This is what the girls told me when I asked them what their favorite thing was to do together. To me this response shows what a great friendship they truly have. It doesn't matter where they are or what they are doing. As long as they are together they know they will have fun. So of course we spent the entire hour laughing together as we enjoyed the beautiful weather. When these two Olathe North High School seniors told me the wanted to do a photoshoot together before they head off to college I was so happy. As a high school senior photographer capturing these special moments between seniors and their friends or family members is one of my favorite parts of a session. These are the photos they will look back on and fondly remember all the wonderful times they had together senior year. These three have been friends since before they could even walk and have grown up spending close to every day together. As we talked about some of their favorite memories together I loved hearing all the many stories they had of each other. My advice to these young ladies is to continue to be present in each others lives. As you get older that may be harder and harder to do, but an 18 year friendship is worth holding on to! If you are interested in doing a Best Friend Photoshoot with your closest friends I would love to work with you! Shoot me a message and we can start planning!